Three films from the summer 2018 Mississippi Youth Media Project, Mississippi Public Broadcasting's partner in dropout prevention, will screen at the upcoming 19th annual Crossroads Film Festival in April 2018. The Crossroads Film Festival selected the student-led productions among a group of talented professional and striving filmmakers. YMP students created mini-documentaries with solutions-based content about relevant community issues. You can read more about the three films chosen to be screened below. “Digging Deeper: Confronting Youth Crime’s Causes and Solutions” analyzes youth crime in the city of Jackson. Students interviewed an extensive number of notable people, including those affected by crime, experts in juvenile offenses, elected officials, professionals in law enforcement, legal counsel, and educators. These students are continuing their project now, leading youth crime community dialogues across the city. “From Woolworth’s to #BlackLivesMatter: Protesting for Life, Freedom and Dignity” covers the 1963 Woolworth Sit-In, a monumental event in Civil Rights history, and its present-day implications, including national the controversial national movement. “Supporting Black Dollars and Businesses in Jackson, Miss.” interviews business owners in the Farish Street Historical District, Mississippi's largest and only primarily residential district in Jackson on the National Register of Historic Places and reflects on a time when the area was rapidly growing. The area is currently under extensive renovation. This summer, the program worked with 29 students ages 14 to 18 from 12 schools in central Mississippi. 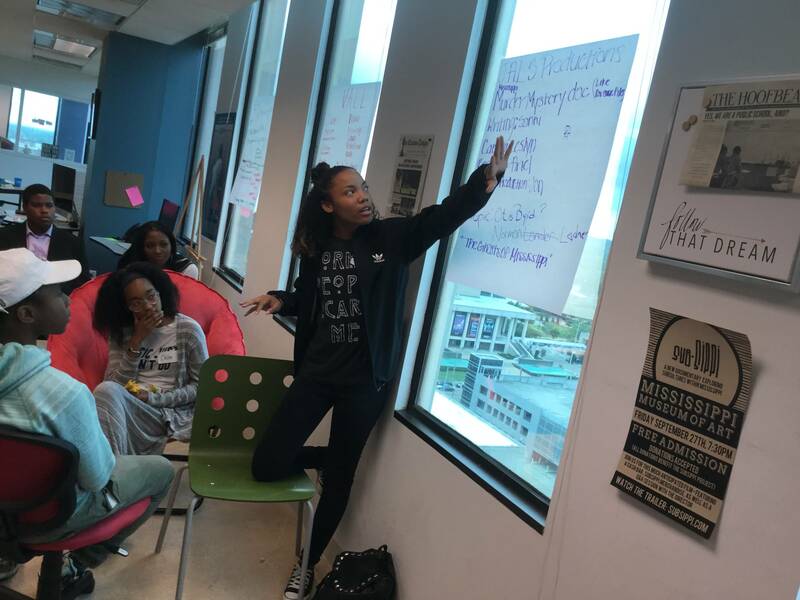 Each weekday, the group of diverse teens met in the YMP Learning Lab in downtown Jackson from 9:00 a.m. to 4:00 p.m. to tell their own stories and use rigorous multimedia journalism to report on other young people, their communities, the causes of global issues and potential equity-based solutions. The goal of YMP is to reduce school dropout, inspire more first-generation college students, and bridge the workforce skills gap by preparing students for an evolving workplace with 21st century jobs that haven’t been created yet. You can follow more student work online, including frequent blog posts and more intensive journalism work.